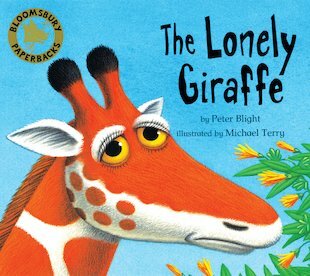 High among the treetops, the tall giraffe is lonely. With his long neck, he’s just too far away from the action on the jungle floor. The other animals can barely hear his distant voice, and when the monkeys and birds are up in the trees, the giraffe startles them with his big head so high off the ground! But when the river bursts its banks, threatening the jungle creatures, it’s time to forget old prejudices and work together… From favourite illustrator Michael Terry, this striking and wise tale of teamwork has a jungle setting full of flaming colours.